Emergency position locator beacons are used to alert search and rescue services in the event of a life-threatening situation on the water. There are two main types of emergency beacons, Emergency Position Indicating Radio Beacon (EPRIB) and a Personal Locator Beacon (PLB). 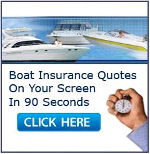 Both can be taken on your boating adventures to help keep you and your passengers safe in the event of the unexpected. 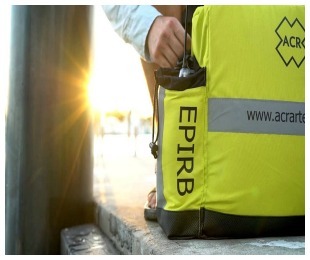 An EPIRB is used to alert search and rescue services in the event of an emergency by transmitting a coded message on the 406 MHz distress frequency via satellite and earth stations to the nearest rescue center. Automatic activation is triggered when the EPIRB is released from its bracket. Category I EPIRBs are housed in a special bracket that is equipped with a hydrostatic release. This mechanism releases the EPIRB at a water depth of 3-10 feet. A Personal Locator Beacon or PLB is a buoyant, GPS-enabled rescue beacon that has been designed for anglers, pilots, and backcountry adventurers. PLBs are small, simple electronic devices that are intended for single-time use by a person in the event of an emergency. For an additional level of safety, boaters can use an EPIRB on their vessel, but can also attach PLBs to each life jacket so that rescue teams can locate individuals separated from the boat. Before using any emergency locator beacon, always check the manufacturer’s testing & inspection procedures. Also, remember that each beacon you purchase will need to be registered with the National Oceanic and Atmospheric Administration (NOAA). By adding an EPIRB or PLB to your boating safety equipment, you may qualify for a boat registration fee reduction. For example, in the state of Florida, a customer who owns a recreational vessel equipped with an Emergency Position Indicating Radio Beacon (EPIRB) or a recreational vessel and a Personal Locator Beacon (PLB) is eligible to receive a registration fee reduction during an original or renewal vessel registration transaction. The way this works in the state of Florida, boaters must visit a tax collector or license plate agent office and provide documentation that the EPIRB or PLB is registered with the National Oceanic and Atmospheric Administration (NOAA) at the time of boat registration or renewal. Safety, peace of mind, and the added level of reassurance that comes with having an EPIRB or PLB on your boating adventures can be well worth the investment. When I renewed my boat registration in FL this year, they gave me a $1 discount for an EPRIB. Not all EPIRBs are automatic and not all PLBs float . Can one(1) Epirb be utilized for two(2) vessels ? Explanation…..as a “snowbird” I use a 27’ c/c in FL 6 months Oct to April. In April that c/c is put away. I then use my 28’ lobster boat in ME May to Oct. Can I have one Epirb and transfer the Epirb each season.? The EPIRB when registered with NOAA/SARSAT is very specific to the Vessel, contact info etc when you fill out the number. You get a letter and a decal to place on that EPIRB. At the cost of them one for each boat should not be issue. I have them for all my boats. Anyone that does off shore boating/fishing would be putting themselves in serious danger with out one. I’ve had an EPIRB on my boats for past 10 years. Had the boys in Florida had an EPIRB on their craft, they may very well be alive today. They are not that expensive.